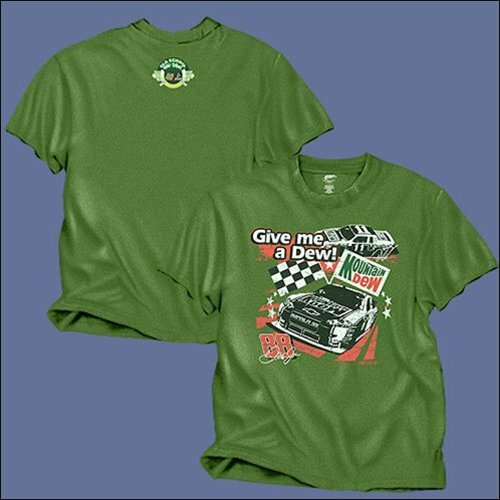 This Dale Jr./DW tee is a relaxed fit with a no feel print! The soft 50/50 poly/cotton fabric and vintage green heather color is a tee you'll wear over and over. Dale Jt. ran the Mountain Dew retro paint scheme on May 10th 2008 at Darlington.